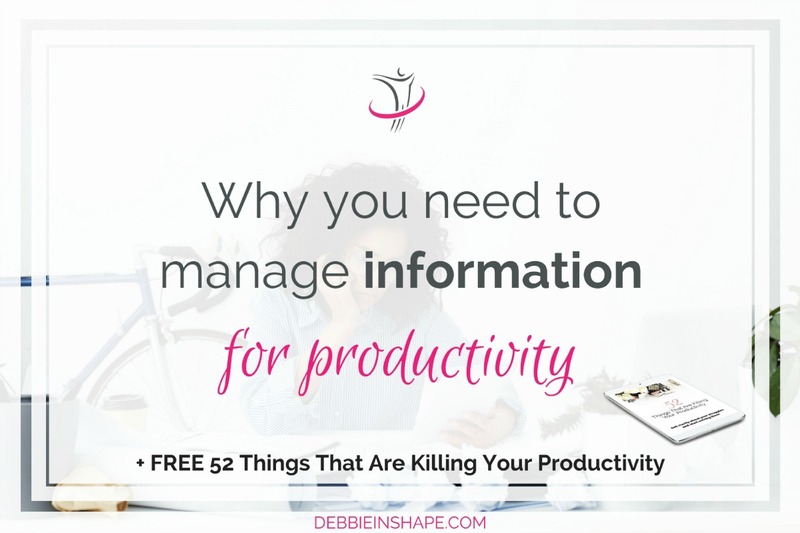 You must know how to manage information for productivity if you want to be successful. 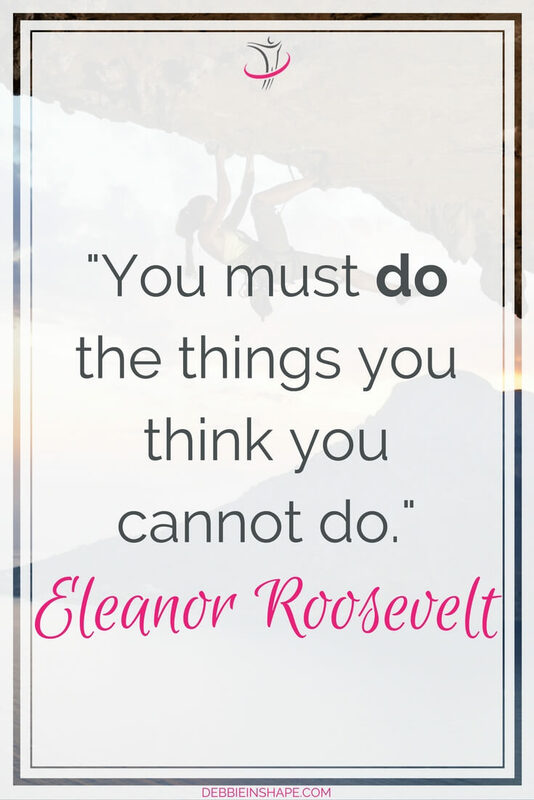 Discover possible obstacles and you can overcome them. Every day, we’re bombarded with information. 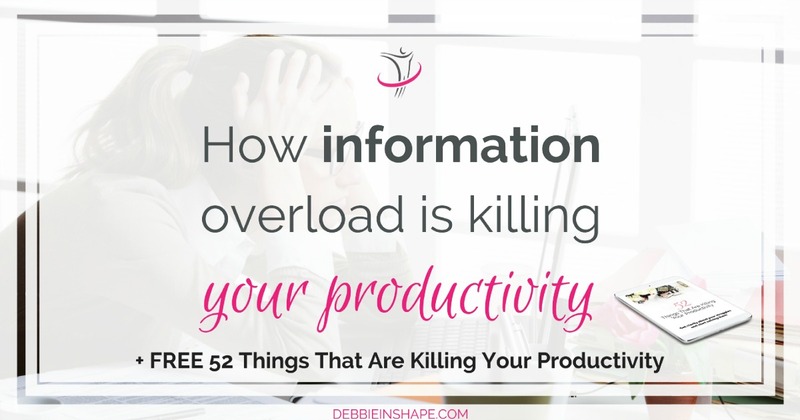 Unless you manage information for productivity, you’ll find yourself stuck. Finding the balance between how much you need to know and what’s useless clutter is key. Understand how you might be wasting time and energy right now so that you can overcome it. What do people normally do when they have too many tasks to accomplish? The tendency is to perform more than one “together”. But we all know it’s impossible, in reality. We don’t multitask, we “switch-task”. In the process, a lot of time and energy is wasted and your efficiency efforts go down the drain. The same also happens with information. Trying to read a book, watch the news, and keep up with social media at the “same” time doesn’t work. I speak out of my experience. 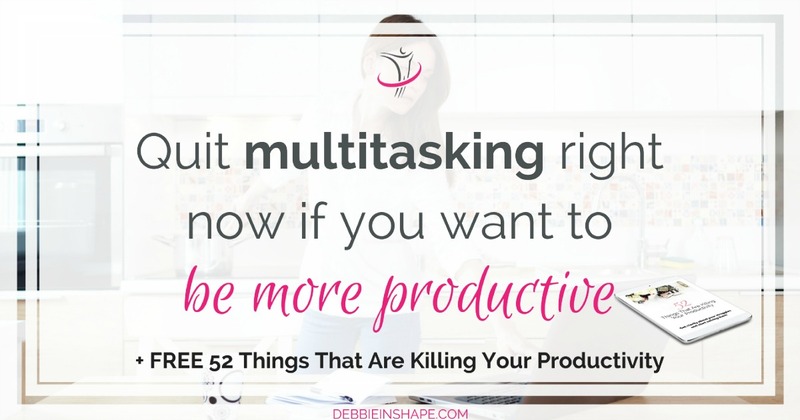 Understand why multitasking isn’t good for you and how you can kiss it good-bye on the blog. Similarly to what happens when we have too much to do, we also attempt to deal with all the information we receive. Whether it’s data related to our work or the latest from our favorite stars, we collect more “stuff” we can handle in a lifetime. Since we can access “everything” and “everyone” in the palm of hands, there’s no stopping. Because most of the information you have been holding dear has no use. It’s just clutter that is killing your efficiency. To learn how to manage infobesity read this post, please. Have you already noticed what generally happens when you feel overwhelmed? There’s so much you have to deal with, you don’t even know where to start. In most cases, we keep ourselves busy, but rarely, this busYness is productive. And one of its results is procrastination. At one point, I had over 20,000 unread emails spread in various accounts. I didn’t get there in one day. It was the results of years of procrastinating dealing with all the information I had collected. It took me a lot of trial and error and coming up with my own method for me to manage my emails one day at a time. 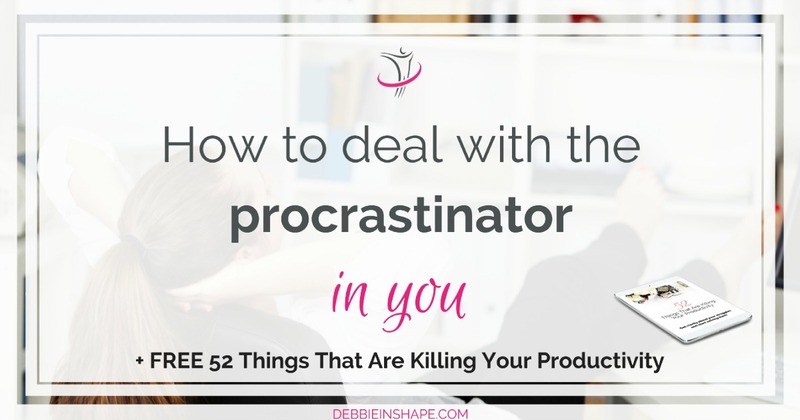 If you also want to break free from procrastination, you must check my tips here. When we hear the word “risk”, our skin crawls, doesn’t it? 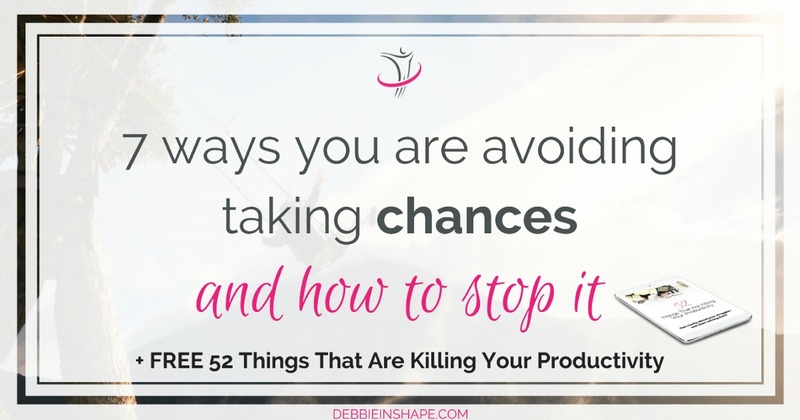 Taking chances is normally associated with dangerous things we should avoid. But not all risks are bad. To be sincere, unless you dare to leave your comfort zone, nothing happens. Instead of living a fulfilling lifestyle, you get caught with surviving. The solution is to apply a mindful approach to the way you make decisions. When you acknowledge that life happens and you prepare yourself the best way you can, your chances of succeeding increase. In spite of any challenges, obstacles, or risks you may need to face. Discover when you’re avoiding risks too much and how to overcome it on this post. What has been blocking you lately? 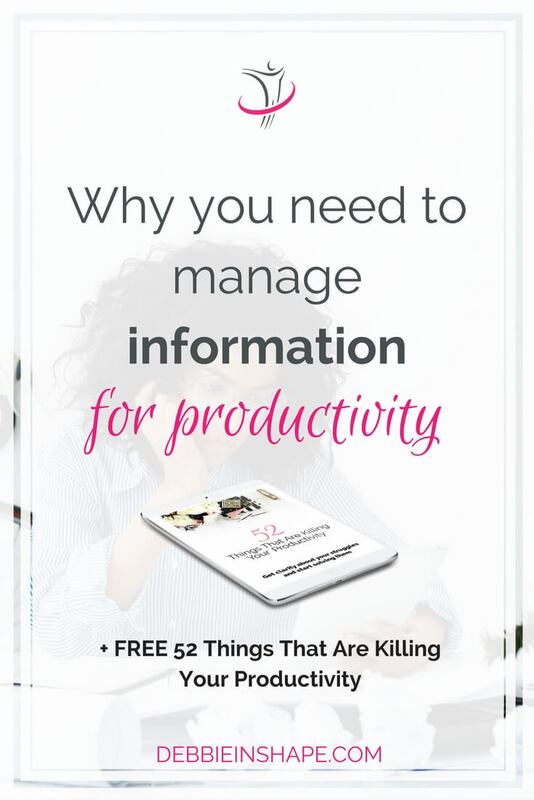 Understand how you can start to manage information for productivity. There’s no secret and it can be very simple. If you need support and accountability to deal with it as well as with other efficiency killers, come and join our challenge.